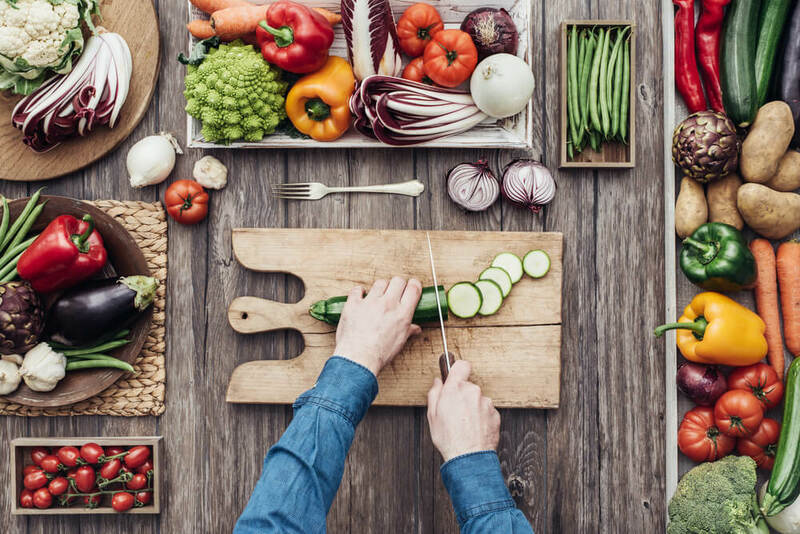 Many of you probably already know these, but it is well worth repeating: the most important tool in a kitchen is the knife, and not just any old knife, but an extra sharp knife. Whether they will admit it or not, all chefs have a favorite knife or knives, and that is because there is a very distinct sense of pleasure when you are able to chop an onion and the layers do not slide every which way as you cut through them, or cut through a large potato like it was butter. We are going to talk about all the different types of knives that are at a cook’s disposal in another article, but for now we are going to stick to the one thing that all knives eventually need: a knife sharpener. 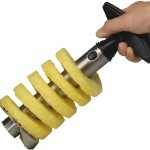 There are plenty of knife sharpeners out there, from electrical ones to old style grinding stones. But for someone who is interesting in being a cook, and not a professional knife sharpener, we recommend what has come to be a traditional manual sharpener. We have actually had the chance to tryout dozens of knives sharpeners and have even seen some manufacturers rise and fall in this market, so we can confidently recommend the following top 10 best manual knife sharpeners on the market today. If we had to choose a knife sharpener that we think would satisfy even the expectations of a ninja, we would choose the Chef’s Choice 4643 ProntoPro. 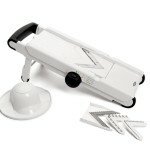 It uses 3 different levels of diamond abrasive surfaces, to create an edge that is progressively sharper. The sharpener creates an arch shaped edge on the knife just like the samurai swords have, so, no matter how you hold the knife to cut, it is not the entire edge of the knife that meets the cutting surface, but it rolls into the cut for a more precise cutting angle. 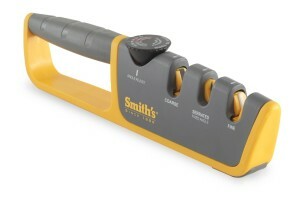 For those of you who do not care about such technicalities, the important thing to remember is that this is one of the few manual knife sharpeners that has 3 different sharpening surfaces, which means it will get the knife much close to the cutting sharpness of a razor blade than most other products on the market. The grip on the Chef’s Choice 4643 ProntoPro is soft and yet strong, so you can easily pull through the knife as you are sharpening it. 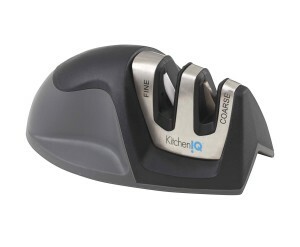 Our second choice as the best manual knife sharpener, is the KitchenIQ Edge Grip 2 Stage Knife Sharpener. This is more of a beginner’s knife sharpener, because it has a V-shaped base that is meant to be set against the edge of the table. That may seem like an uncomfortable way of holding a tool like this but the truth is that, by holding it against the edge of the table, you will be able to pull the knife through at optimum angle for sharpening. 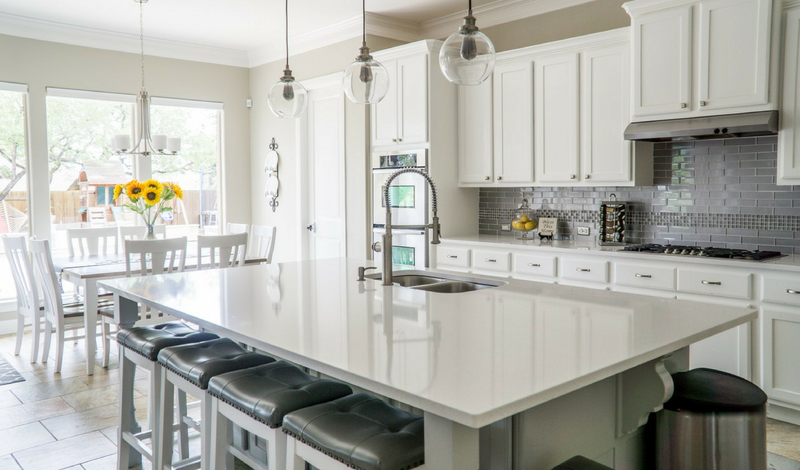 Getting to use this precise angle is so important that almost 1,000 customers decided to come back and award it an average of 4.3 star rating on Amazon, and that is a pretty impressive performance seeing just how many customers came back. Still, you should also take into consideration that this is one of the cheapest knife sharpeners you can find, and also it is just a 2 stager, so it will never get a knife as sharp as the ProntoPro we have already discussed. 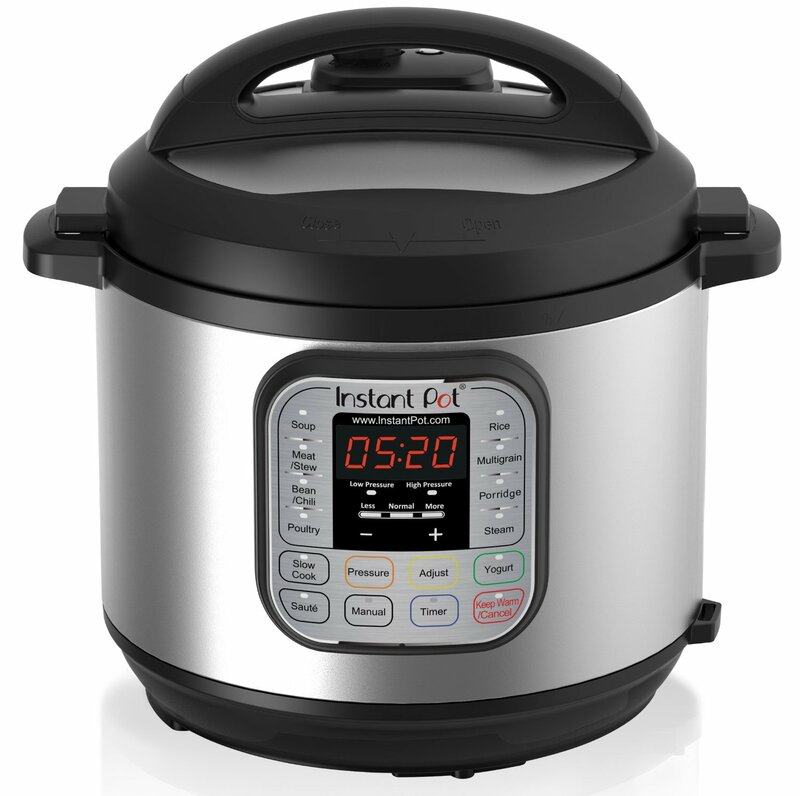 There is one feature that we did not mention when talking about the ProntoPro, but, since it is also present in the Chef’sChoice 464 Pronto Manual we are going to mention it here. Both of these 2 knife sharpeners can sharpen both straight edge and serrated knives. 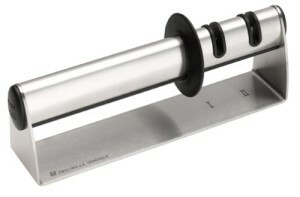 In fact the Pronto Manual does everything the Pro does, except that it does not have that third level of sharpening. Still, it will get your knives even sharper than the day they came out of the factory, and it does not care what type of metal your knife is made of. 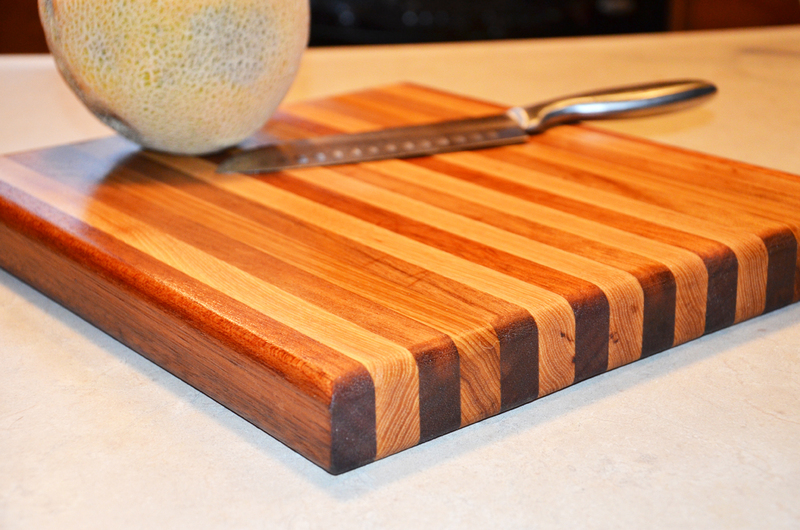 It does not require any water or oil to work, although, we do recommend using a bit of water just to keep the edge of the knife from overheating during the sharpening process. In fact the Chef’sChoice 464 Pronto Manual might even be a better choice than the Pro, if you do not want to spend that much time sharpening your knives. The fourth choice as the best manual knife sharpener has actually won a 4.6 star rating on Amazon from more than 2,000 customers so we have to give it some credit. Still, it is a single stage knife sharpener, so it really does not come up to our expectations, but is, indeed, a faster tool to use, since you only have one stage. 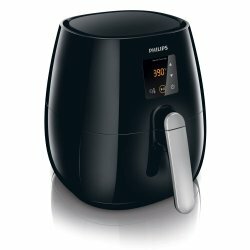 The disadvantage is that it only roughly sharpens the edge, and although it does try to put a polish on it too, it falls short of the Chef’s Choice sharpeners we have features so far. But then again, if you are going to use it often enough, and you do not care that much about having an extra fine cutting edge, the AccuSharp Knife Sharpener will work quite well. 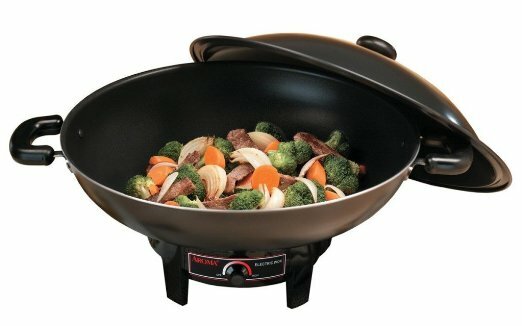 The reason why the Zwilling J.A. Henckels Twin Sharp has actually made it in our top 5 is because it looks so much better than anything else on the market. In terms of sharpening power, its 2 stage modules do a pretty good job, but it was it smooth aluminum finish and katana look that really impressed us. 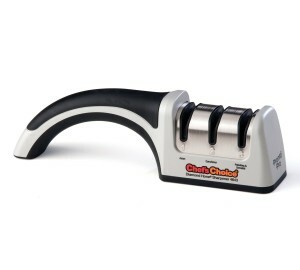 It will only work on knives with a fine edge, but it is somewhat cheaper that either Chef’s Choice sharpeners we have talked about. And you need not worry about that aluminum base, it actually has 4 rubber feet so it is a very stable tool to have on a kitchen top. As we enter the second part of our list, we are faced with some old school sharpening edges like carbide steel and ceramic rods. 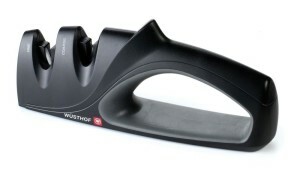 Granted, Wusthof is one of the oldest knife sharpeners manufacturers in the business, and they do get results close to those of the Chef’s Choice diamond edges, but, still, they are stuck to an old school technology. 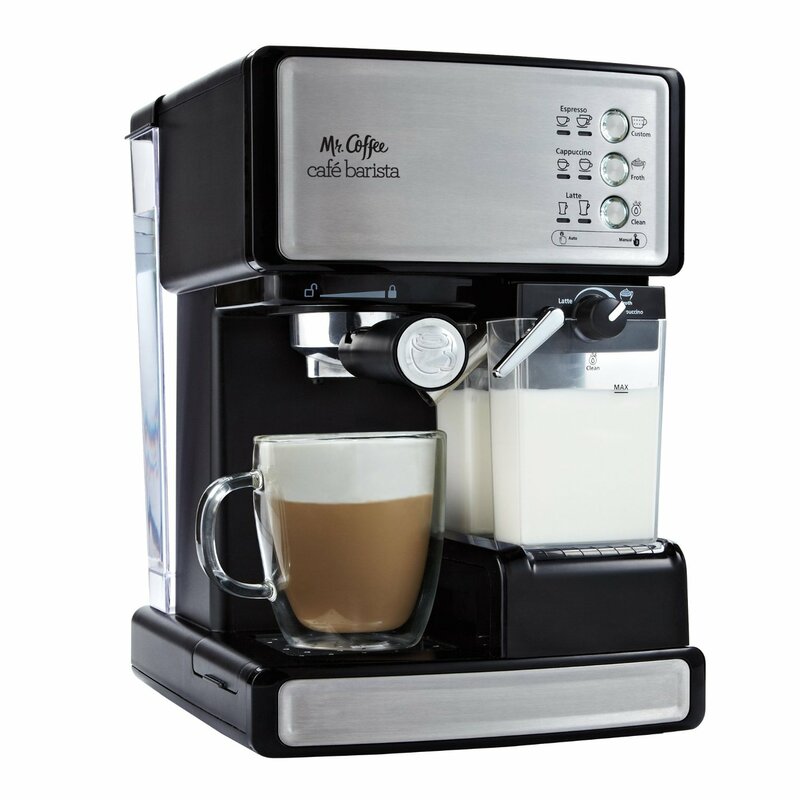 However, we do have to give them points for the high quality of the manufacturing process and for the luxurious look and feel of their device, and also have to agree that the price / quality ratio is more than fair in this case. The reason why you would want diamond surfaced sharpening edges is because they will many times more than regular sharpening tools. The way the Smith’s Adjustable Manual Knife Sharpener solves that problem is that they allow you to easily change the sharpening surfaces. And the way they solve the problem of serrated and straight edge knives, is they have a different sharpening edge for each one. 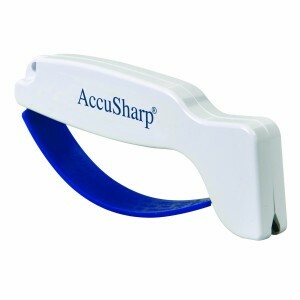 So do not think that this is a 3 stages sharpener, it has 2 stages for conventional knives, and 1 stage for serrated knives. 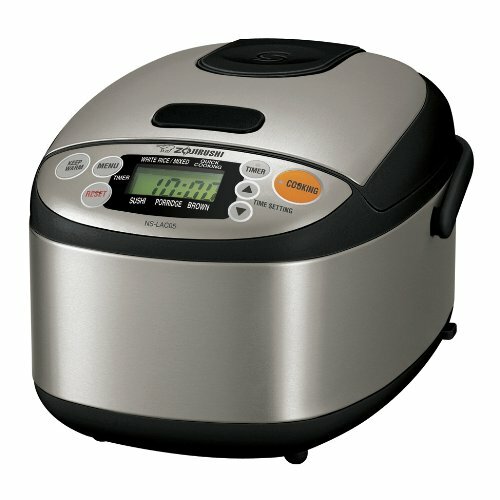 We had to feature the Chef’s Choice Pronto as one of our last choices on this list not because it is not as good as the first we have talked about, but because it is an older generation sharpener and it has a slightly bigger price tag. In the meanwhile they were able to make their knife sharpeners for less money, but if you want that old time quality in the components that make up your knife sharpener, you may want to go with the Pronto. 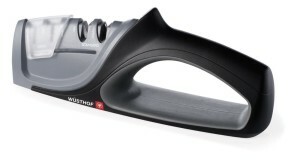 The name that Wusthof chose to go for with this particular knife sharpener is a bit misleading since it is not actually a 4 stage sharpener: it is a 2 stager that has different edges for both Asian or serrated knives and regular knives. It does a good job, and we know there are going to be those of you who will appreciate the fact that Wusthof created a specific tool for each type of blade. However, we had to deduct some points solely on the basis that the title is misleading and that can be very frustrating to some customers. 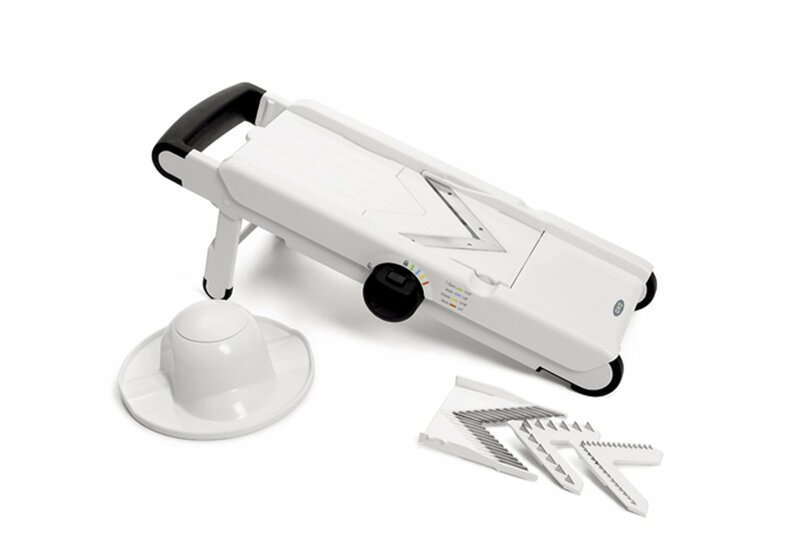 We are going to finish our list with the knife sharpener that really opened the way for Chef’s Choice to become the dominant name in this market: the M4623 Diamond. You can tell by the way it looks that it is a first generation model, but all the key features are there. 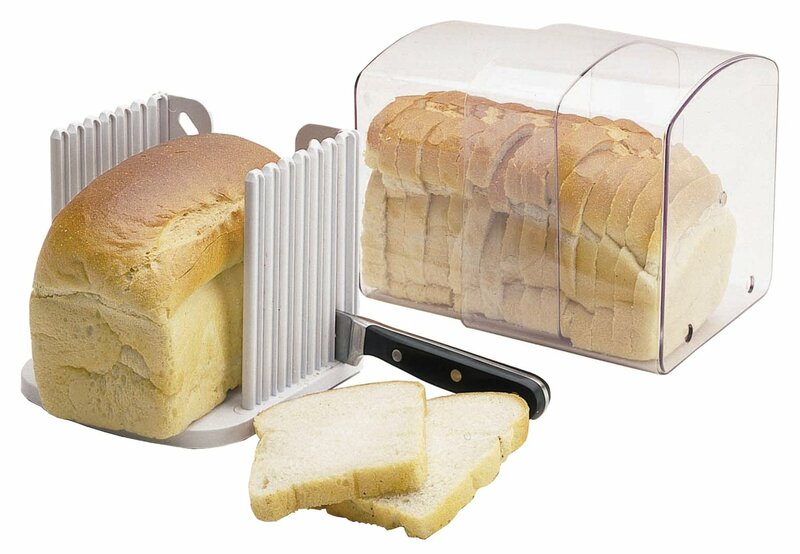 It has the diamond sharpening edges, it can be used on serrated, Santoku and straight edge knives, and it has a 3 stage design.